Always Overnight Pads with Flexi-Wings flex as you move, helping them to stay put for protection against leaks. 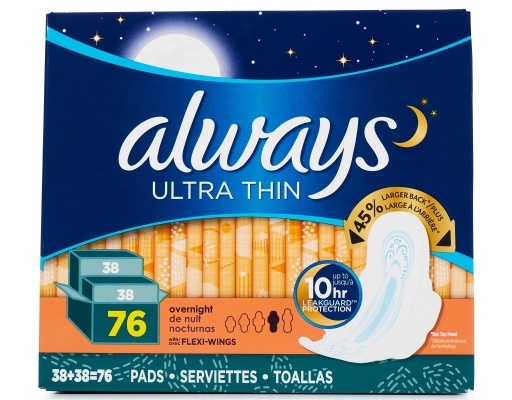 Their dri-weave cover is soft and absorbent. 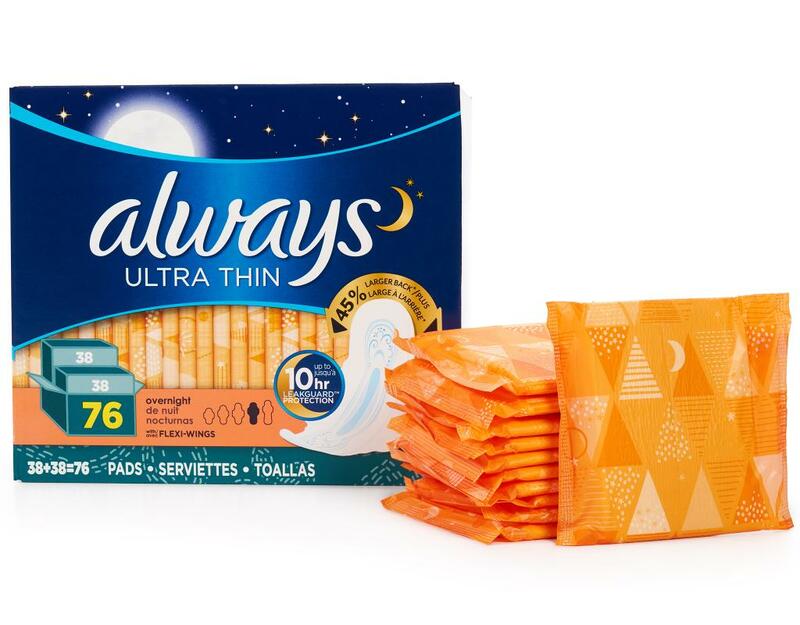 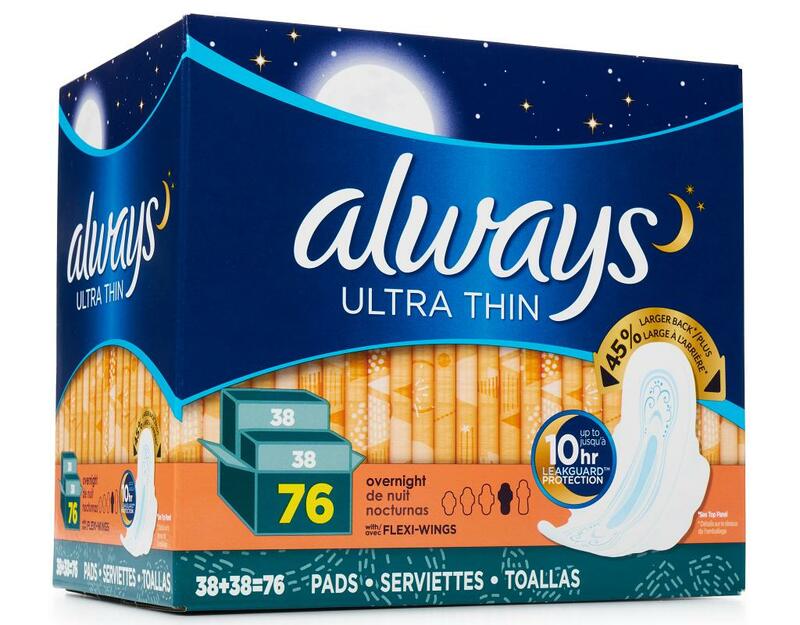 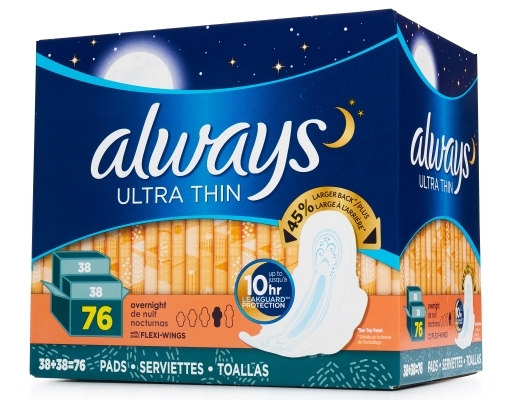 Always Ultra Thin Overnight Pads have longer front-to-back coverage than regular sanitary pads so you can sleep easy.